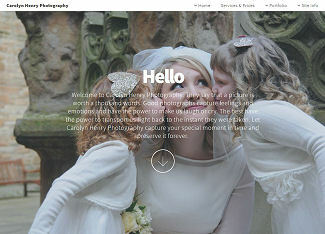 Undiscovered Scotland offers a range of website design, maintenance and hosting services. We can also provide photography services and a full booking management service for your self catering accommodation. All our websites are completely responsive. That means that they can be viewed on anything from a large screen desktop computer down to a smartphone. To see this in action, visit one of the sample or live sites listed below open it up, and drag the edge of your window to give different screen sizes. Our websites are designed to be attractive to search engines, and all can link to your social media feeds and to a booking system if you have one in place. Sites will also link to mapping showing the location of your property. Our sites can be made available to you in a .zip file for you to unpack and upload to your own server and maintain yourself. Alternatively, we offer website hosting and management packages, which, if you wish, can also include looking after your domain and providing extras such as SSL and Google Analytics. Our sites are self contained and do not rely on databases. You simply need the .html and supporting files. Our sites are normally completely free of cookies. 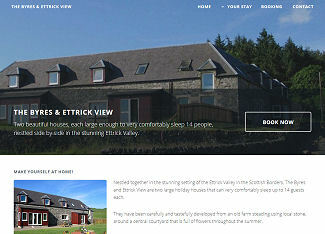 Ettrick Valley Yurts. 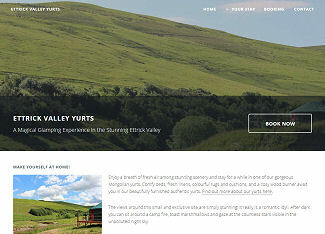 A five page site for glamping holidays in Mongolian yurts. Borders Holiday Lets. A five page site for two large holiday houses. 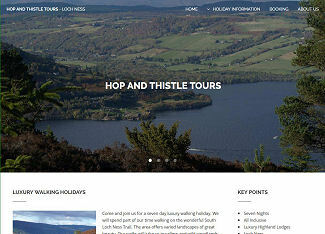 Hop and Thistle Tours. A six page site for luxury walking holidays. 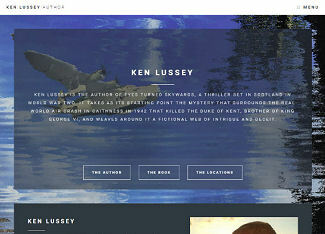 Ken Lussey, Author. A site with three main and four subsidiary pages. Loretta Marie Hair. A single page site. Gem Precision Beauty. A single page site. Carolyn Henry Photography. A scrolling front page with four panes, plus multiple portfolio pages. 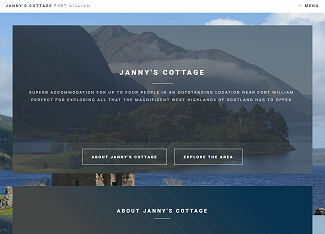 Janny's Cottage near Fort William. Style 1 with three pages. Janny's Cottage near Fort William. Style 2 with four pages. 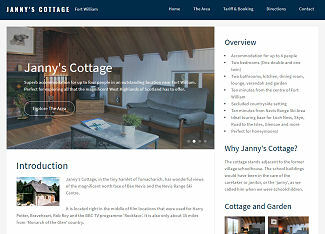 Janny's Cottage near Fort William. Style 3 with three pages. 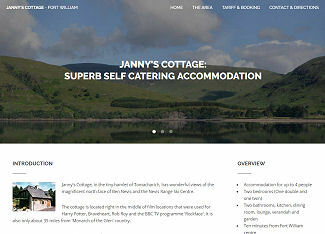 Single page site, ideal for small self-catering owners or accommodation providers. Site design and production: £250. Multi-page site of up to five pages. 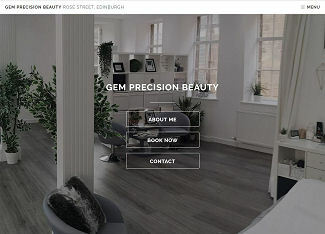 Site design and production: £500. Price for each additional page: £50. Price for up to 5 different Undiscovered Scotland images to illustrate "area" description and other site elements such as backgrounds or banners on the site in question: £50. Price for up to 15 different Undiscovered Scotland images to illustrate "area" description and other site elements such as backgrounds or banners on the site in question: £100. 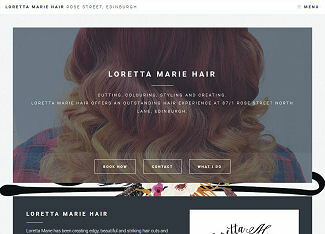 Website hosting and management by Undiscovered Scotland: £10 per month, or £100 per year. This includes up to 12 updates of the website during the year. Domain hosting for com, org, co.uk domains: £20 per year. Domain renewal fees will be passed on at cost plus a £10 admin fee. SSL certificate setup and implementation, and first year: £60. Cost for each year thereafter: £50. Price by arrangement, depending on factors such as number of letting units and frequency of turnover. Within 35 miles of Livingston: £50. Within 100 miles of Livingston: £100.